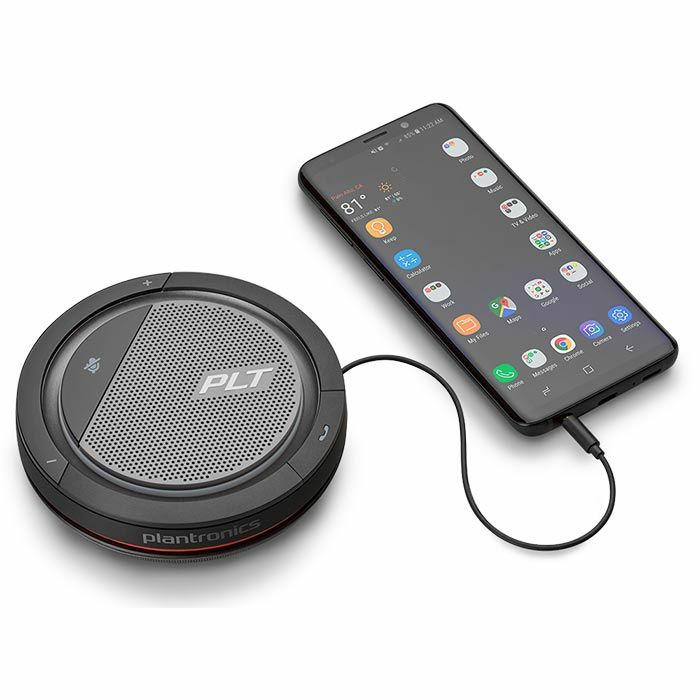 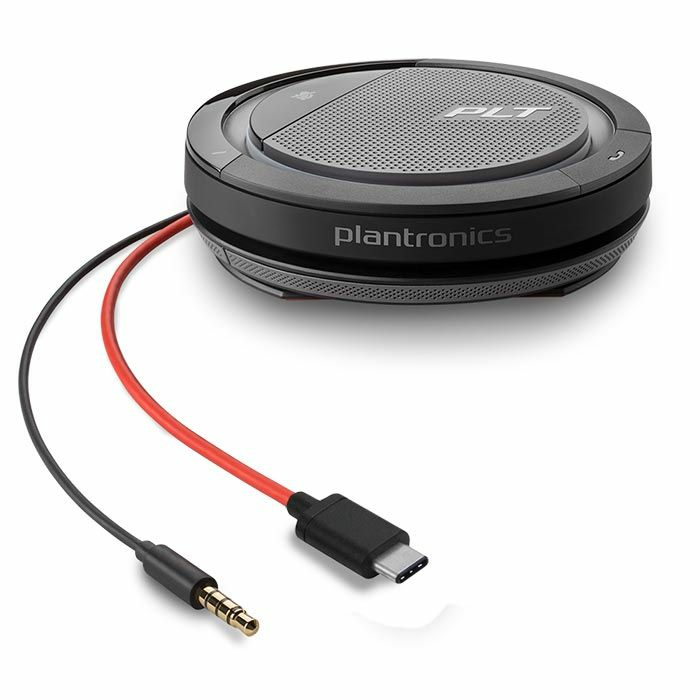 The Plantronics Calisto 5200 is portable speakerphone with USB and 3.5 mm connectivity. 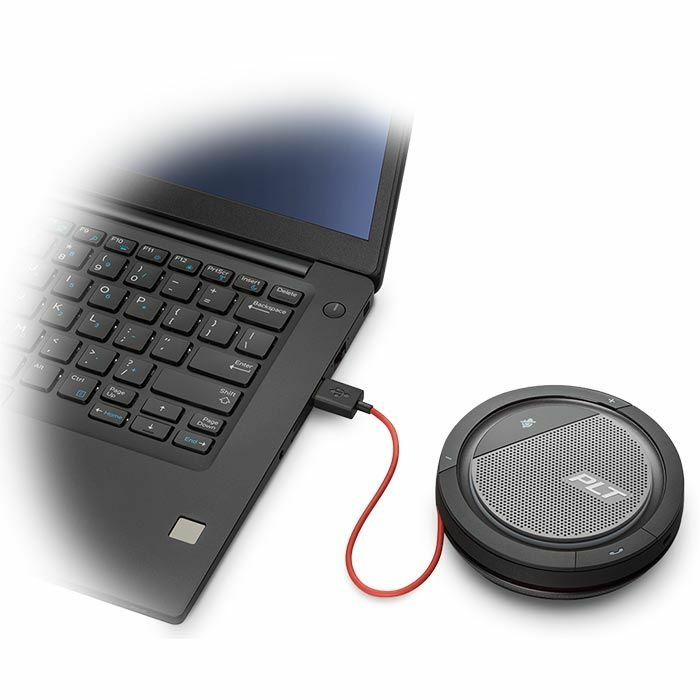 It enables you to take calls from your PC, tablet, or mobile device. 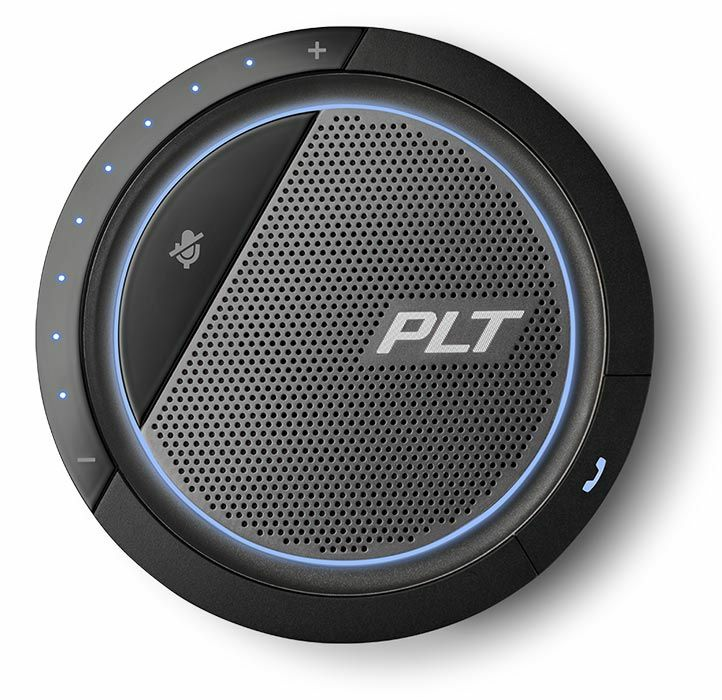 You can even merge multiple calls. 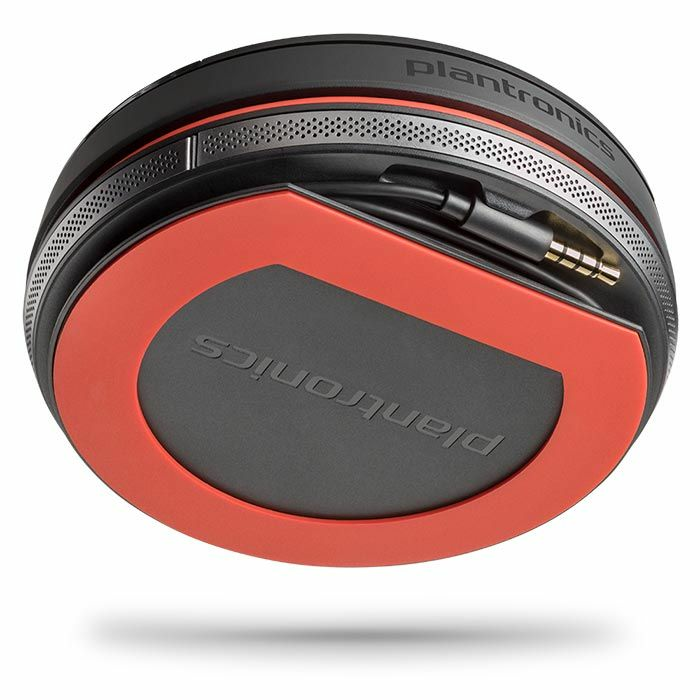 Plantronics Signature Audio quality means you won’t miss a word. 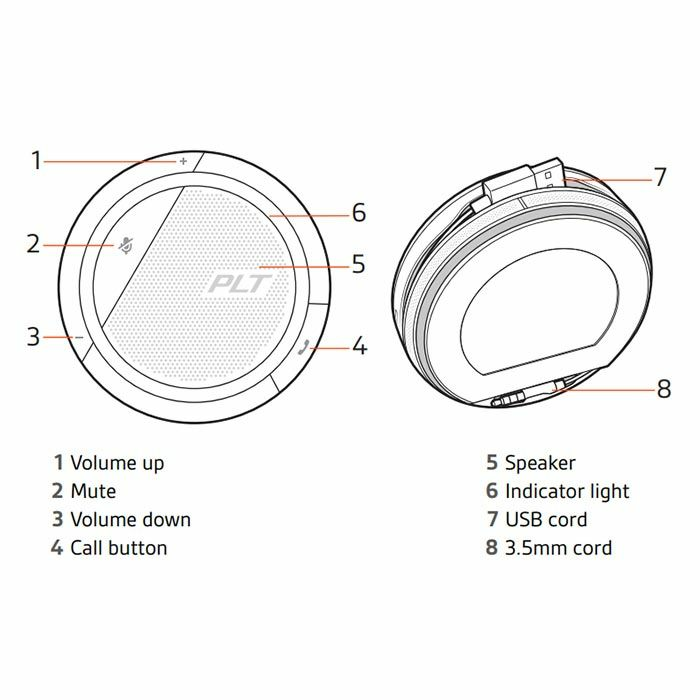 With plug-and-play simplicity and an intuitive interface, it’s easy to get the meeting started and stay in control of the call.